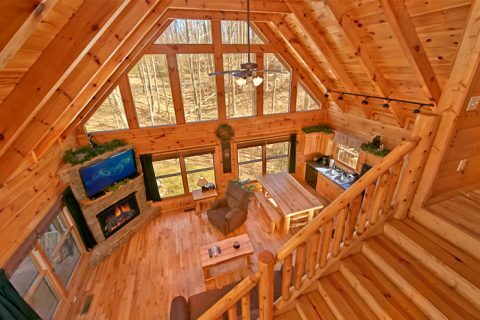 "Starry Night" provides couples the perfect Smoky Mountains vacation cabin rental for a honeymoon or a just-because getaway filled with unforgettable moments together relaxing. 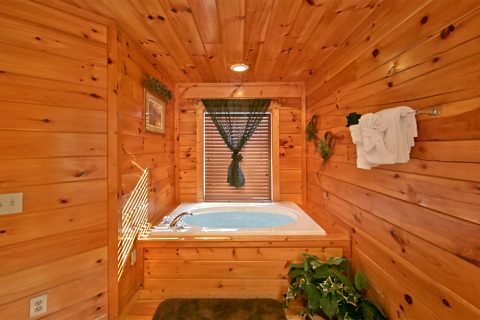 Take a soothing bath in your cabin’s 2-person jacuzzi and later cuddle in front of the electric fireplace to watch television or a movie on the Blu-Ray DVD player. 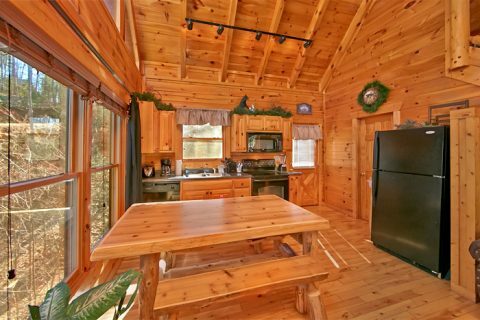 Your cabin’s cozy dine-in kitchen and charcoal grill are ready 24/7 for romantic dinners for two as well as anytime snacks. 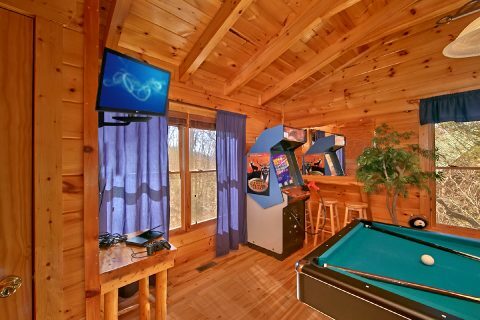 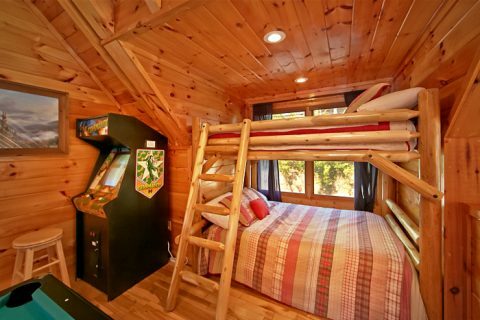 Before heading off to sleep in your honeymoon cabin’s king-size log bed, try a few games of pool or try your hand at the high score on any of the three stand-up video arcade games: Commando, Duck Hunter, or Jambo Safari. 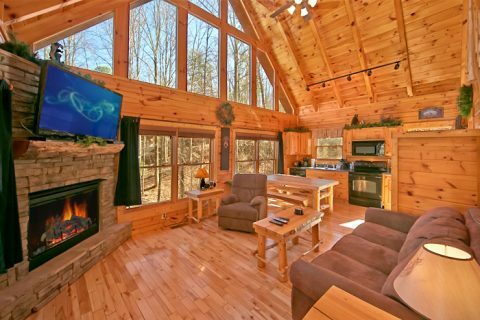 Your Smoky Mountain vacation cabin comes with WiFi Internet, allowing you to stay in touch with family and friends back home as well as stream games and movies throughout the cabin. 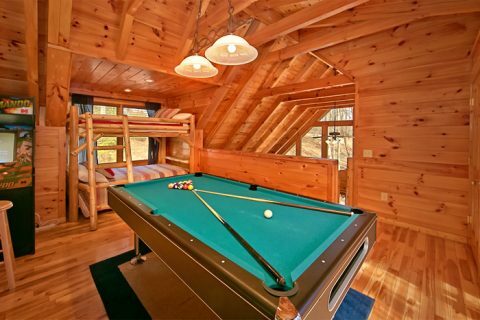 The newly added full-size bunks now allow for up to 8 guests to enjoy this wonderful Smoky Mountains getaway. 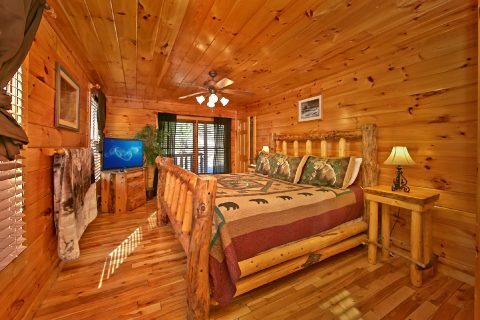 Your Smoky Mountains vacation rental is conveniently located between Gatlinburg and Pigeon Forge in Sky Harbor Resort, an ideal location for easy access to attractions, shows, dining, shopping and more. 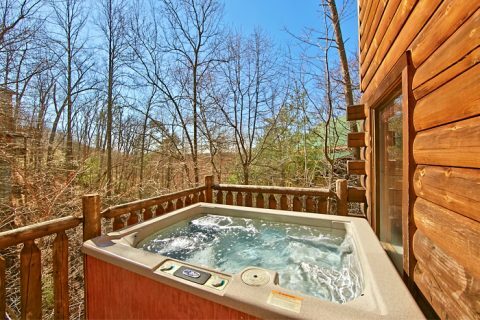 "Starry Night" is a wonderful Smoky Mountains vacation getaway for couples. 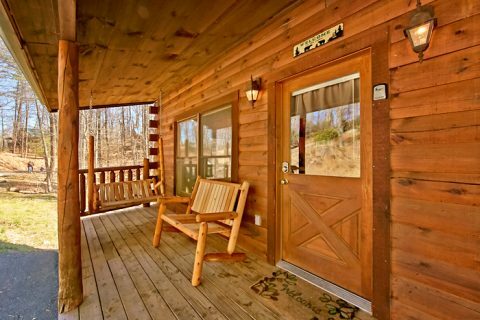 We hope you'll return year after year to make more memories in the Great Smoky Mountains. 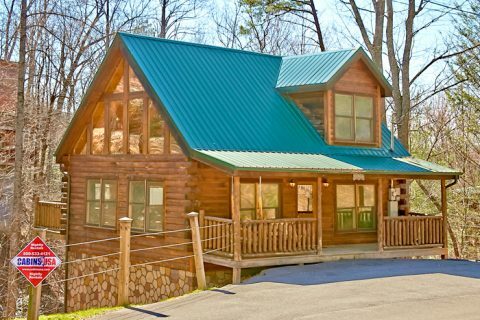 BOOK any of our Smoky Mountains vacation rentals ONLINE and get immediate SAVINGS!